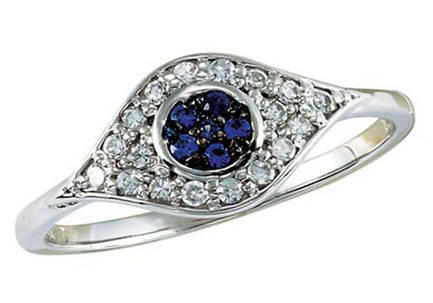 14kt white gold “Evil Eye” ring with 6 round sapphires and 16 round brilliant cut diamonds, total weight .30 carats. Price is for a finger size 6. Please contact us for a different finger size price.